Let our Nissan finance department help you find an interest rate, car payment or loan schedule that suits all your needs or ask about guaranteed car financing options. Our online credit application is secure, free and there is no obligation after you apply. We work with a large network of lenders to find the appropriate, personalized payment options and payment schedule that works for your budget. Our Nissan finance department can help you with every part of the car financing process from determining GAP insurance options to deciding whether to lease vs. loan. Everyone on our Nissan finance department is a time-tested financial expert. 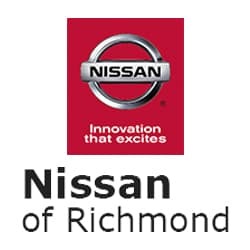 Contact our department today with any questions or hesitations you have about car financing in Richmond. You can apply for financing online to browse some options offered, and you can browse our current lease specials and offers to find the right Nissan model for your needs and budget.